Occupation ceiling for the 2017-18 programme year has been announced. Occupation ceilings for the 2017-18 programme year. You are here: Home » Migration Blog » Occupation ceilings for the 2017-18 programme year. 3 What is an occupation ceiling? Occupation ceiling for the 2017-18 program year will stay on the same level as for 2016-17. The figure of 190,000 was announced by Department of Immigration and Border Protection Minister Peter Dutton on a budget day 09 May 2017. Detailed information about the quotas is available in the table below. Some of the occupations are subject to pro rata provisions (marked with * in the table below) and for some minimum score to get an invitation is well above 60 points. 1000 applicants got an invitation for 189 visa and around 123 under Skilled – Regional Provisional (subclass 489) Relative stream. Applicants with 70 points were invited under 189 visa applications until 04/08/2017 6:16 pm. Accountants – This occupation is still at 75 points cut off points with approx 3 rounds waiting so we expect this to come down at 70 points in most likely next invitation round. Auditors, Company Secretaries, and Corporate Treasurers – It’s also at 75 points right now with last invitation issued until 30/05/2017 12:03 am. This may come down to 70 points in next month invitation round due to less space in occupation group. Electronics Engineer – Applicants with 70 points got invited until 04/08/2017 6:16 pm so its good sign that it will be 65 points in next round if limited applicants with 70 points apply. Industrial, Mechanical and Production Engineers – Same for this occupation that it will be reduced to 70 points from current 75 as all applicants have been invited until 02/08/2017 10:16 pm with 75 points. ICT Business and System Analysts – Promising changes for ICT graduates that this occupation has gone down to 70 points requirements with approx 3+ months wait for invitation to be issued. Software and Applications Programmers – 70 point occupation right now but will be coming to 65 from next rounds on wards. 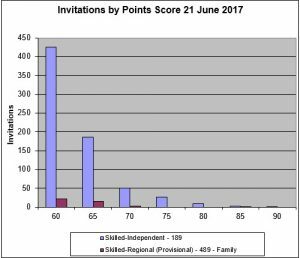 Computer Network Professionals – 70 points currently required however it will be at 65 points in next invitation round. All above occupations have reached to their approx 15% ceiling value for the year 2017-18 so expect that planning level will be achieved in May if current trend is continued. IT Students – Database and Systems Administrators and ICT Security Specialists is new occupation available for nomination and only 12 applicants got invitations against the planning level of 2391 for this year. – Choose more IT Security / Database Admin related subjects to get skills assessment done and use this occupation. Engineering – Civil Engineering is good occupation to be right now with 3296 spaces but only 47 been nominated in 3 rounds. Trade Occupations – 60355 space available for over 15 occupations and in 3 invitation rounds only 38 applicants have been invited displaying a huge gap and opportunities for such occupations. Only 0.62% planning level is achieved for these occupations in 3 invitation rounds and expecting that this will not even reach to 5% in current trend so by end of this financial year in 2018, approx only 3000 would have got invited in trades against such a large allocation of occupations. Remember that occupation ceilings do not apply to Employer Sponsored, State or Territory Nominated or Business Innovation and Investment visa subclasses. If you apply for 186, 187, 190 you don’t have to be worried about ceilings. If you don’t have enough points for 189 – you may consider checking if there is a state nominating your occupation and go ahead with 190 instead. 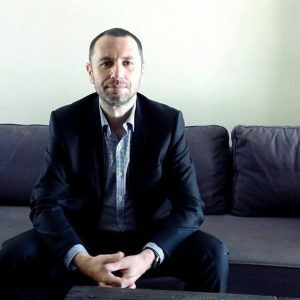 Each state has their own list of occupations and their own rules, so unless you’ll ask Migration Agent Charles (Karol) Nowak for advice, you’ll have to check each state separately. In the table below you’ll see the occupation ceilings for the 2016-17 financial year for each occupation from the list of skilled occupations sorted by ANZSCO code unit group, and the number of invitations that have been issued for that financial year. Table is taken from last round of invitations. As you may notice having 60 points is not enough for some of the most popular occupations. 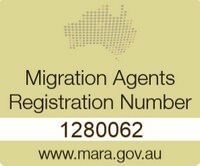 I spoke yesterday to a nice lady who lodged EOI for Electronics Engineers 2 months ago with 65 points wondering why she did not get an invitation to apply for a visa yet. She wasn’t aware of ceiling and pro rata provisions, so she will very likely not get an invitation at all. There is a lot of different things in migration law only experienced migration agents are aware of. Do yourself a favor and book a consultation with a migration agent to make sure you are on the right path to get your visa sorted. It’s nothing about painting a ceiling while working as a painter, as some of you may expect, nope. Before you’ll lodge your EOI, better check if ceiling has been reached for particular year, otherwise you may never receive an invitation even having 100 points. If you’re not sure if your nominated profession already hit the ceiling please do not hesitate to contact us or book a consultation.